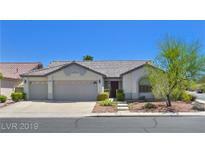 Find Seven Hills, NV Homes for sale. View Photos, Maps and MLS Data Now! Horizons At Seven Hills - Lush exterior includes covered patio, hammock, herb & fruit trees. MUST SEE!!! ! MLS#2088738. Urban Nest Realty. Horizons At Seven Hills - New Anderson windows throughout, freshly painted inside, new carpeting, plantation shutters & more! MLS#2088157. BHHS Nevada Properties. Horizons At Seven Hills - Iron & glass doors, stunning entry, circular paved drive MLS#2086744. Realty ONE Group, Inc.
Horizons At Seven Hills - Its A Must See In Seven Hills Community. All Furniture Is Negotiable MLS#2087985. Realty ONE Group, Inc.
Horizons At Seven Hills - Inviting front courtyard & tranquil backyard w/ pond & desert landscaping. MLS#2083353. Coldwell Banker Premier. Horizons At Seven Hills - This Entertainers Home features; Dazzling Cathedral Ceilings~Wine Room~Game Room/Loft~Custom Chef's Kitchen~En-suite Guest Quarters Down~Backyard Lush Oasis w/Pool & Spa;Outdoor Kitchen~Koi Pond~Tortoise Habitat~No Rear Neighbors & Amazing Views~True 5 Bedroom Home~Must See! MLS#2087136. Redfin. Horizons At Seven Hills - Tuscan-inspired backyard, w/ in-ground pool/spa and room for entertaining! MLS#2087519. Purplebricks Inc.
Horizons At Seven Hills - Property is zoned for highly ranked schools. A must see. MLS#2087252. Elite Realty. Horizons At Seven Hills - Nearly 1/4 acre lot w/pool & waterfall plus large grass side yard! MLS#2087321. Realty ONE Group, Inc.
Horizons At Seven Hills - Tinted windows on back and side, shutters, surround sound, granite, stamped concrete floors, berber carpet, soft H2O softener, epoxy garage floors, RO system, etc. MLS#2086635. Robinson Realty & Management. Horizons At Seven Hills - Plantation shutters, solar screens and more. MLS#2085995. BHHS Nevada Properties. Horizons At Seven Hills - Main floor BR+ Full Bath.Huge kitchen/butlers pantry/large island overlooking the fun resort backyard. MLS#2085908. Commercial West Brokers. Horizons At Seven Hills - Kitchen W/Island, Custom Cabinets, Granite Countertops & Wine Rack * Formal Living Room * Separate Family Room W/Fireplace * Interior Feats Include Murphy Bed In 4th Bedroom, Shutters, Alarm, Surround Sound, Central Vacuum, Water Softener & Filtration Systems * Backyard W/Private Yard, Bi-bbq, Garden, Pool, Spa & Covered Patio! MLS#2086314. BHHS Nevada Properties. Horizons At Seven Hills - CuldeSac home 3 min walk to beautiful Sonata Park. MLS#2085721. eXp Realty. Horizons At Seven Hills - Back yard has direct access to the Seven Hills trails which link the 3 gorgeous parks in Seven Hills. MLS#2085662. BHHS Nevada Properties. Horizons At Seven Hills - This home features, hardwood floors, high ceilings, plantation shutters, open concept, kitchen with an island and breakfast bar, ceiling fans throughout, tons of natural light, custom master bath with steam shower, covered patio with private yard, and much more! MLS#2081512. Simply Vegas. Horizons At Seven Hills - Balcony to sit & enjoy Sunset views. 5 fireplaces. Infinity pool. MLS#2083648. BHHS Nevada Properties. Horizons At Seven Hills - Kitchen is open to family room w/granite counters, island, butlers pantry, custom cabinets, family room w/cathedral ceilings & fireplace, formal living & dining rooms, large secondary bedrooms all with fans, pool sized yard w/covered patio, syn grass & large side yard, wrought iron staircase, shutters, large master bedroom w/walk-in closet & built-ins & much more! Zoned for Coronado High. MLS#2085343. BHHS Nevada Properties. Horizons At Seven Hills - Large corner lot. LID paid off. MLS#2085389. Realty ONE Group, Inc.
Horizons At Seven Hills - Cabinets/storage in the garage. Hurry!! This will not last! MLS#2084344. Coldwell Banker Premier. Horizons At Seven Hills - Close to high end shopping, schools, and restaurants with easy access to the freeways. An absolute must see! MLS#2084553. Compass Realty & Management, L.
Horizons At Seven Hills - Corner lot w/park across street, porte-chochere, theater rm, wine cellar, game rm w/bar, office & family rm open to kitchen & nook. 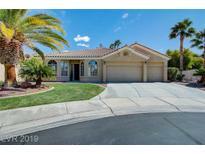 Master with MLS#2083780. Luxury Homes of Las Vegas. Horizons At Seven Hills - The master can be your own mini penthouse with relaxing spa like master bathroom. Large secondary bedrooms. MLS#2082944. Platinum R.E. Professionals. Horizons At Seven Hills - Bonus views of the strip from 2nd story bedrooms, quick gated access, along with the luxurious accommodations of the Seven Hills community. MLS#2082471. Realty ONE Group, Inc.
Horizons At Seven Hills - Private backyard with desert landscaping backing up to the foothill. MLS#2083086. Realty Pros.